It used to be that airliners strove to out-do each other in providing amenities to passengers. But in an ironic twist, many carriers have begun taking away flight perks to lower the ticket price. No-frills fares has been a growing trend in the airline industry. Delta was the first to hop on board with the idea when it revealed its Basic Economy fare, which lowered ticket prices in exchange for no seat assignments and ineligibility for complimentary upgrades and same-day travel changes. United and American Airlines followed suit – doling out extra low fares while also restricting overhead bin space and carry-on baggage. However, not every airline thinks the practice is a good idea. 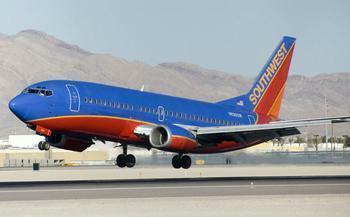 In a meeting with investors, CEO Gary Kelly said that Southwest Airlines would not be creating a Basic Economy fare because it would cause confusion. “Any time we contemplate offering customers a choice, we debate that heavily because complexity drives confusion and clouds the brand. What you have at Southwest is a very strong brand position in customers’ minds that we stand for friendliness, reliability and low fares. The whole free bags and no change fees becomes a very powerful component out of all that. So we don’t feel like we need [Basic Economy],” he explained. In a bit of jab to his competitors, Kelly went on to say that other airliners’ focus on “elite” packages only serves to push other travelers away, something that Southwest doesn’t support. “Every other competitor, they lavish attention on elite customers and ignore the rest. That is our biggest opportunity because we don’t ignore anybody,” he said.